The Sanishower + is the replacement for the Sanishower 1043/2. 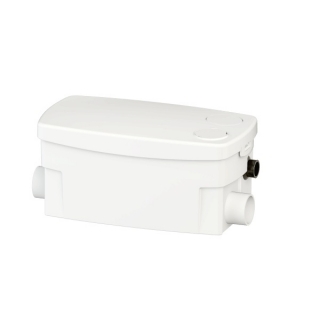 Especially useful where a shower or wash basin is to be sited in a place where gravity drainage will be difficult or impossible to run, for example in a basement or on an internal wall of a property. Sanishower can be installed next to or underneath a shower tray with access for maintenance.